SpaceX and Tesla CEO Elon Musk has been a driving force behind Hyperloop technology. Essentially this will be a network of tubes above ground that would shoot capsule-like cars full of commuters through a low-pressure environment at nearly 800 mph. That sounds terrifying to me, though it could potentially allows you to make the trip from Los Angeles to San Francisco in approximately 30 minutes. CEO Dirk Ahlborn says this is “not a test track” or a simple proof of concept. This is a huge step towards testing the viability of the project and allows them to hammer out the logistical issues. 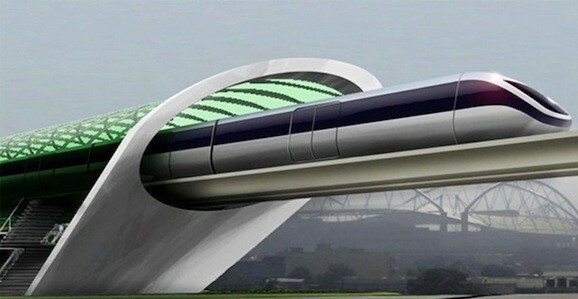 Ahlborn says, “Speed is not really what we want to test here.” Ultimately, it will take approximately 100 miles of track for the capsules to get up to their top speed, but this will give the project the opportunity to test everything from the design of the passenger cars to the best way to arrange the commuter platforms. It will take approximately $100 million to construct this Hyperloop, require the work of more than 200 engineers, and at least one of the stations will run on solar energy. The team will include people from major companies like Boeing, Airbus, and Yahoo, as well as a group of 25 students from UCLA’s graduate architecture program who will tackle everything from route planning to cost analysis. This is just a first step, but it’s going to be exciting to watch this Hyperloop technology develop and see this project come together over the next few years. We’re talking about technology that could potentially get you from coast to coast in roughly three hours, which is insane and awesome.